Channels 1 and 2 can be used for mic/line sources, thanks to the handy combo jack, which accepts either �" TRS or XLR connections. Channel 1 also has an instrument switch giving you all the benefits of a DI box built right in. There is even RCA inputs so you can connect a smartphone, etc. 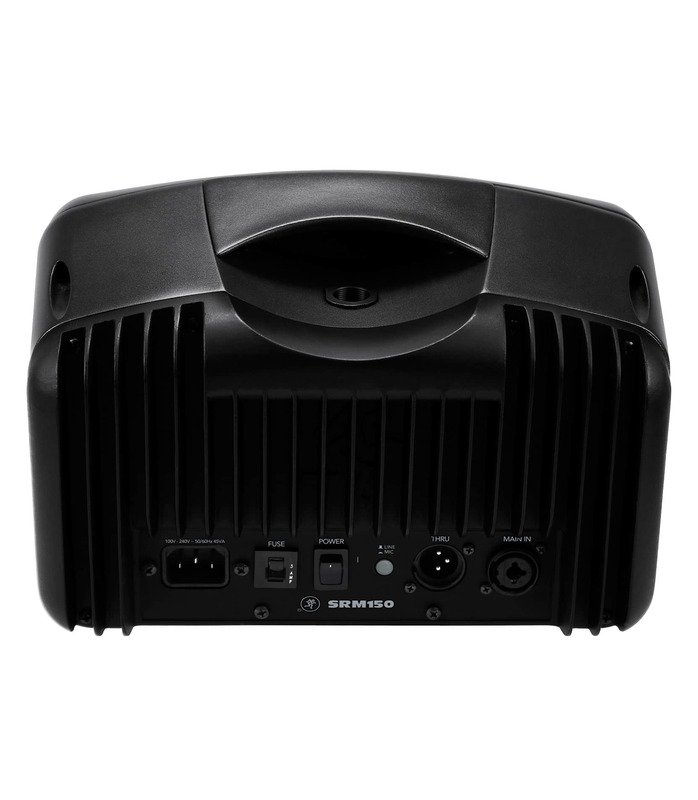 We�ve matched the SRM150's powerful 150W Class-D amplifier with an equally impressive 5.25" full range, weather-resistant neodymium driver. 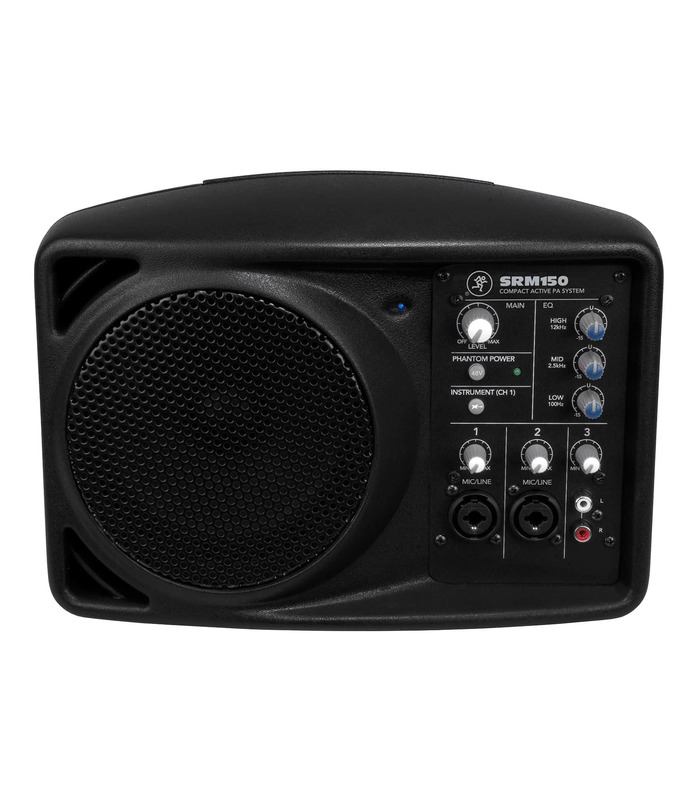 The SRM150 puts out a blistering 120dB SPL @ 1 meter, far more than the competition offers. 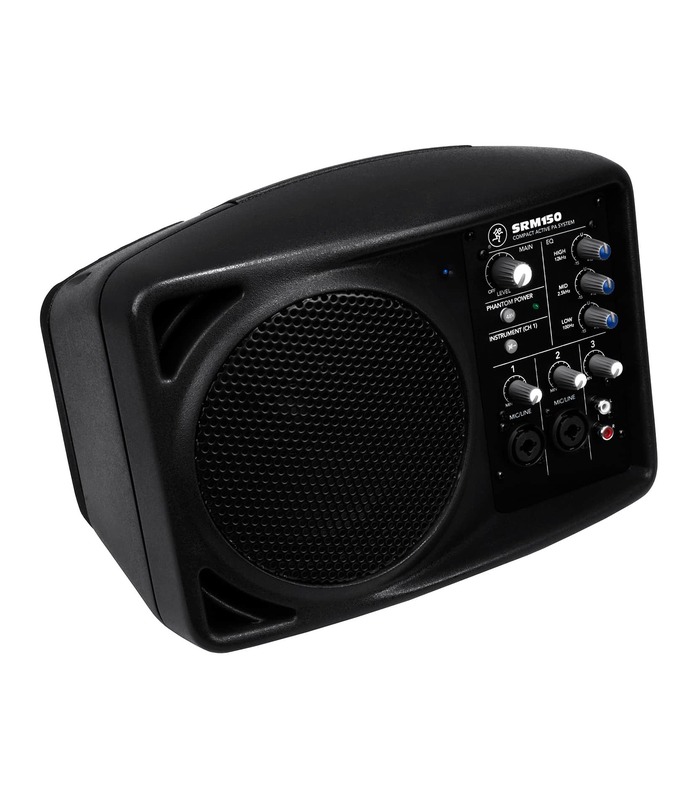 SRM150 5 25 Compact Powered PA System from Mackie is 100% original and is available at NMK Electronics. Speak to our expert for booking a live demonstration. After sales customer service is an integral part of our business ethic and is taken very seriously.